Marcus Dove of Kustom Hustle attributes his success as a tattoo artist to his people skills. A former Marine with the build to prove it, Dove might look intimidating at first, but get him talking and he’s a true charmer. 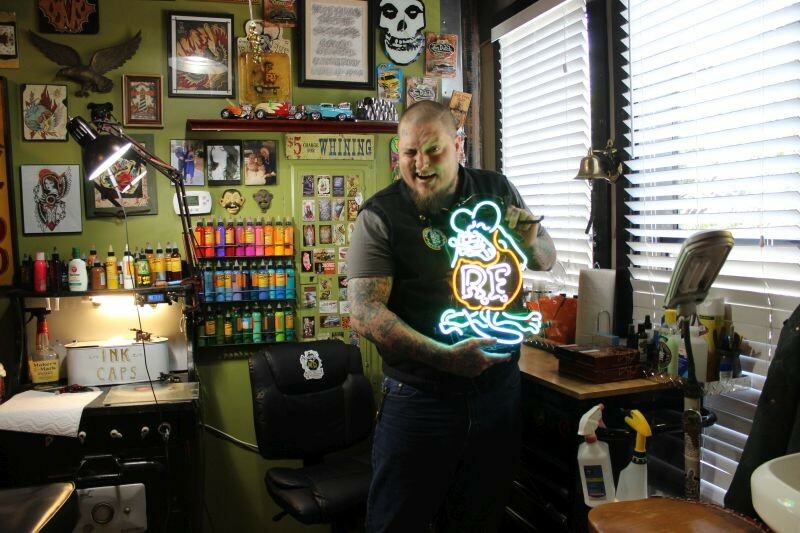 He opened Kustom Hustle in 2014 after tattooing for nearly twenty years and makes sure the shop conveys his same positive attitude. Another way Dove squashes the intimidation is by refraining from throwing shade when clients ask for yet another infinity symbol.